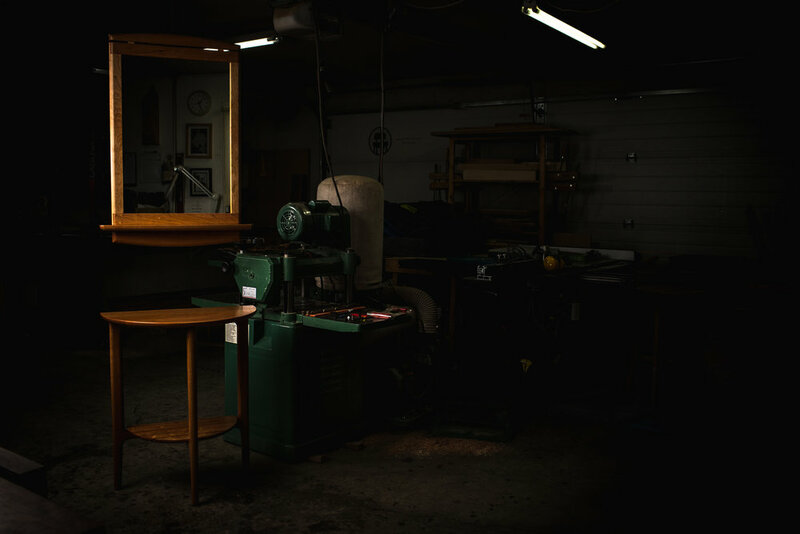 An exhibition of furniture from Kenton Jeske took place in the spring of 2017 at the Alberta Craft Council funded by the Alberta Foundation for the Arts. The Ceremony exhibit was my first endeavour at offering a cohesive presentation of the furniture I am making. Ceremony is the foundation allowing the traditional methods in which I work, to grow deeper and broader. Creating an exhibit in this way, where a designer-maker has the full range of space to present a complete vision, is something unique today. With our magazines of mix-and-match interior design, fragmented visions offer you only one way to live, but Ceremony invited one to a celebration of wholeness through tradition and form. Ceremony, by definition, is an act or series of acts performed according to a traditional or prescribed form in celebration of a particular event. 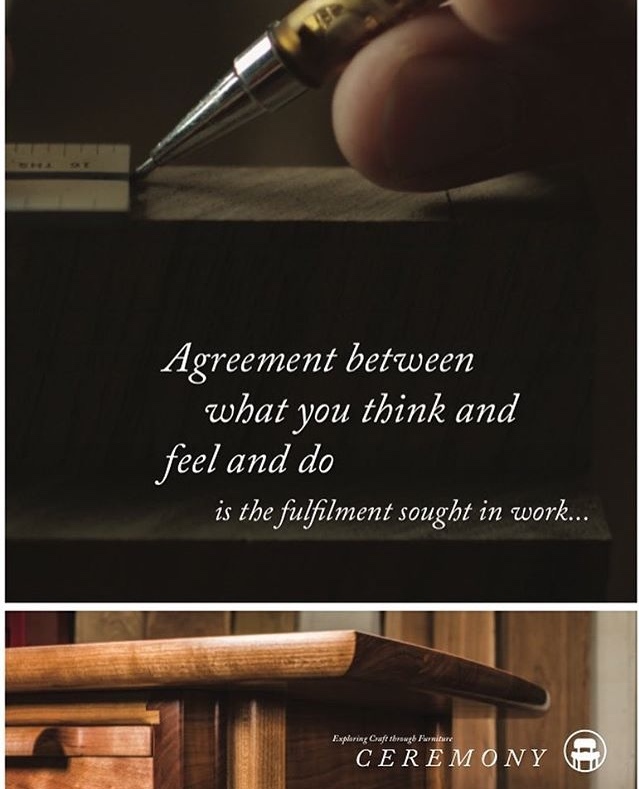 It was the title and theme of my exhibition at the Alberta Craft Council in their Discovery Gallery, with the aim to express the integrity and craftsmanship of fine furniture. My work is Ceremonial. It is in every facet of the way I create, from the design, material selection, crafting, finishing, and finally in the enjoyment of the user. Design in this sense takes time and wisdom. The user must be considered as part of the act of making and in all the choices and actions I take in crafting their furniture. My personal interaction, sensitivity, and intuition brings about design that can be felt and used; a sensual interaction . The motions and movements we are so familiar with when engaging with furniture can become quiet moments of celebration. The handle pulls on a drawer, for instance, can be crafted and shaped to the natural inclinations of ones fingers as they open and close it- your hand, feeling at home in the act. Ceremony celebrates the tactile discoveries of the user. My work grows and progresses through repetition. I begin with a mental drawing, essentially a 3-dimensional image in my mind of the piece I intend to create. The blank white page for designing doesn't suit the tactile nature I require for bringing furniture to form. So every opportunity to be in the shop making, with my hands on the material, is a growth and learning opportunity. The composing of pieces for this exhibit will no doubt lead to new discoveries. The exhibition was also a performance that celebrated the acts of making and using furniture. To capture the performance in progress, photographic panels showing the process at various stages were arranged around the perimeter of the gallery, accompanied by didactics that explained more about the process. Also a short video accompanied these panels to allow the audience to view these processes. My work is created through relationships, not industry. Each piece of furniture I build embodies an intention and an intuition to connect. It is this act of connecting through making that guides me, so long as my hands and eyes are dutifully performing along a path of tradition and Ceremony.